December 1st marks World AIDS Day so tomorrow I'll be prouding donning my favourite M.A.C. red lipstick for the worthy occasion. M.A.C. 's relationship with World AIDS Day goes way back... the M.A.C. 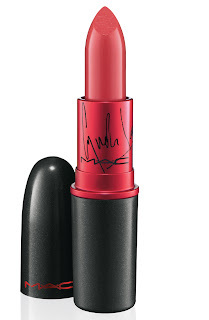 AIDS Fund was founded to raise funds and awareness for the disease, challenging opinion one Viva Glam lipstick at a time. 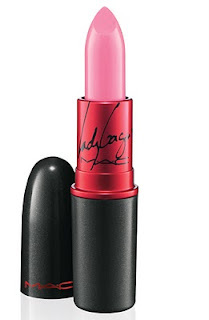 Their Viva Glam campaigns, featuring celebrities, the latest being the wonderfully quirky Cyndi Lauper and the ubiquitous Lady Gaga, have become iconic & instantly recognisable within the industry. The http://www.macaidsfund.org/ website is well worth a visit as it gives an eye-opening insight into what charitable efforts can be achieved from the sale of each cult lipstick. Since the concept started, M.A.C. UK & Eire has raised in excess of £4.4million. It's great to see that M.A.C. 's commitment to the cause goes further than simply a product opportunity as they will also be giving up time tomorrow with make-up artists from London, Edinburgh and Dublin downing brushes and put on their red ribbons in a company-wide volunteer effort. Rather than decorating faces, tomorrow they'll be decorating nominated service areas and meeting rooms used by London's Positive East and Edinburgh's Waverley Centre charities. In Dublin, they'll be joining Open Heart House charity's inaugrual "Sleep Out" event. As a child of the '80s, AIDS has always been in my consciousness and I can still recall hearing the news that the great Freddy Mercury had passed away. Yet for many, this is a modern disease which sadly remains widely misunderstood and viewed as a huge taboo... the only way to fight this is by talking openly about it so go on, do your little Viva Glam bit to show your support tomorrow.